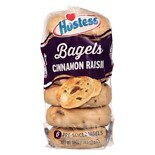 Shop Hostess Bagels Cinnamon Raisin (18 oz. )18 oz. $799$7 and 99 cents$0.47 / oz. Sometimes referred to as cassia cinnamon, Chinese cinnamon, Ceylon cinnamon and cinnamon bark, cinnamon extract is an herb that comes from the bark of Asian trees. It is often added to food for flavor. Cinnamon has been a part of natural medicine and folk remedies throughout many parts of the world for centuries. At this time, there is not enough evidence to know whether cinnamon extract is beneficial for addressing the signs and symptoms of any condition. 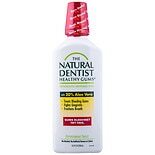 However, natural practitioners recommend it for many uses. Among these are helping to control blood sugar levels in people who have or are at risk for diabetes, reducing stomach discomfort and easing pain related to arthritis (a disease of the joints) and menstruation (periods). Research is needed to determine if cinnamon can actually help with any of these issues. If you're planning to use cinnamon as a part of your plan to improve your health, you'll find many options at Walgreens. 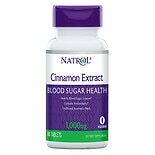 Cinnamon extract comes in various doses in both capsules and liquid formulations, giving you the flexibility to choose the supplement that is most ideal for your needs. 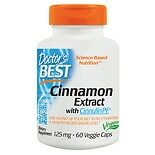 While cinnamon extract is a natural substance, it can cause side effects when used in supplement form. This is most common when excessive amounts of the supplement are taken. This makes it important to use any supplement product as directed. If you have liver disease or other medical conditions, it may not be safe for you to take cinnamon. Chemicals contained in cinnamon can negatively affect the liver. The safety of cinnamon extract for women who are pregnant or nursing is not known. It is best to avoid taking the supplement if you are expecting a baby or breastfeeding. When used with medicines that lower blood sugar, cinnamon poses a risk for dangerously low sugar levels. In addition, cinnamon may not be safe to combine with drugs that have the potential to harm the liver and supplements that have blood sugar lowering effects, such as Siberian and Panax ginseng, fenugreek, chromium, psyllium and garlic. Always consult your doctor before adding a new supplement to your diet to ensure that you select a product that is safe for you and the correct dose for your needs. This summary is intended for general informational purposes only, and should not be interpreted as specific medical advice. The U.S. Food and Drug Administration does not strictly regulate herbs and supplements. There is no guarantee of purity, strength, or safety of the products. As a result, effects may vary. You should read product labels. In addition, if you are taking medications, herbs, or other supplements you should consult with a qualified healthcare provider before taking a supplement as supplements may interact with other medications, herbs, and nutritional products. If you have a medical condition, including if you are pregnant or nursing, you should speak to your physician before taking a supplement. Consult a healthcare provider if you experience side effects.